We are announcing our new store! It located on our Animal Inn property at 25 Boyce Road. 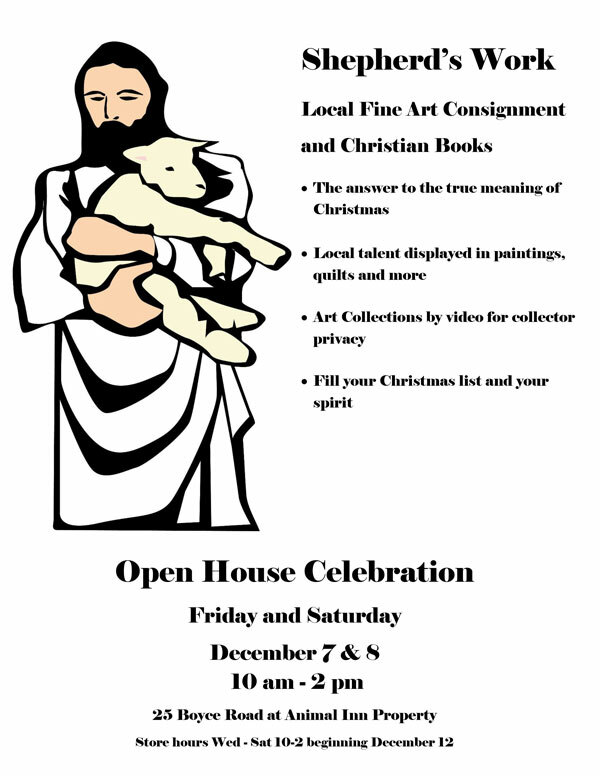 The Shepherd’s Work is an Art Consignment and Christian book store. We are representing 8 artists’ paintings and quilts. Soon we will provide on site videos of local collections as well. 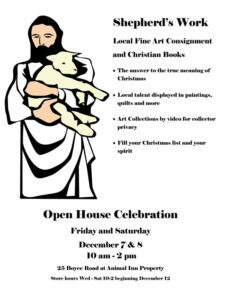 New Christian books and consigned Christian books from local collections will be available. There will always be a tea kettle on however our Open House is Friday and Saturday December 7 & 8th from 10am-2pm with extra goodies. Come by and see us. Fill your Christmas list and your spirit!